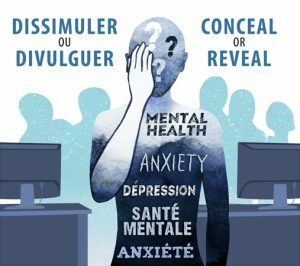 In 2018, a team of researchers from the University of Ottawa, the University of Calgary, and Saint Mary’s University was awarded funding from the Social Sciences and Humanities Research Council (SSHRC) of Canada for a five-year research project on mental health at work. The team’s aim is to better understand how Canadian managers across the federal public service, for-profit, and not-for-profit sectors can ensure that employees living with a mental health challenge not only feel comfortable enough to voluntarily disclose their challenge at work, but that they benefit from having disclosed. Insights gained will be instrumental in helping managers acquire the knowledge and skills needed to foster work settings where employees’ mental health is supported and accommodated. This work has great potential to enhance workplaces by improving the working-lives of millions of Canadians facing a new or recurring mental health challenge. Research on workplace accommodations shows that relatively simple and inexpensive accommodations can improve the lives and productivity of employees living with a mental health challenge, thus reducing important personal and organizational costs. However, many employees conceal their mental health challenges from the very people at work who could potentially provide assistance, primarily due to the fear of being stigmatized. From an interpersonal perspective, disclosure can be instrumental in helping managers understand their employees’ unique experiences, advocate on their behalf, and implement mutually beneficial accommodations. We view voluntary employee disclosure as a crucial element in the problem-solving exercise of finding solutions that would help employees thrive at work, an outcome beneficial to both employees and organizations. Mental health awareness campaigns of little value? Phase 1 of “Mental Health Disclosure” project now under way!